Sofia has an undeserved reputation as a hard-edged post-communist city, full of concrete and grays. 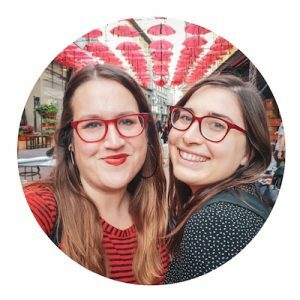 In reality, Sofia is full of teal and gold domes, red tulips, and yellow brick roads — yes, really! While Sofia certainly has its gritty side, it’s also full of beauty. To prove this, we’ve gathered some of the most Instagrammable places in Sofia. From the nearly 2000-year-old ruins discovered when building the metro to hip, design-focused cafés, Sofia is an up-and-coming city with a long history from its roots as ancient Serdica. You’ll find charm everywhere you look, from mosques to Orthodox churches, to vintage trams and cozy cafés. Come to Sofia with an open mind (and a fully-charged camera) and be prepared to find out just how photogenic this city is. So, for all you shutterbugs out there wondering the best places to Instagram in Sofia, here’s a comprehensive list with locations to boot, as well as our recommendations for the most Instagrammable and beautiful hotels in Sofia. The Alexander Nevsky Cathedral is Sofia’s most recognizable landmark and is synonymous with the city for many. Completed in 1912, it is the second largest Orthodox cathedral in the Balkans after Saint Sava in Belgrade, and its interior can hold an astonishing 10,000 people. The best place to photograph the Alexander Nevsky Cathedral is actually from the back entrance, located at the intersection of ulitsa Oborishte and bulevard Vasil Levski. This photo was taken late morning, which is one of the best times to photograph this side of the cathedral — but truly, it’s beautiful any time of day. It’s one of the most popular spots to Instagram in Sofia. Tip: If you want the freedom of photographing things at your own pace and time, but want the context of a walking tour, check out this self-guided audio tour which covers many of the sites on this list. Built in 1914, right after the Alexander Nevsky Cathedral, the Russian Church has 5 golden domes and is done in the 17th-century Muscovite style. The Russian Church is conveniently right down the street from the Alexander Nevsky Cathedral. While it’s less famous, it’s actually one of my favorites — and it’s the pride of many locals as well. In the summer, the garden in the park surrounding the church is filled with tons of yellow and red flowers. In the winter, it looks even more beautiful underneath a blanket of powdery snow. No matter the time of year, though, it’s one of the most Instagrammable places in Sofia. The NDK (National Palace of Culture) is one of Sofia’s most known landmarks, as it forms an important transportation hub with several tram lines and a metro station. It was built in 1981 to celebrate the 1300th anniversary of Bulgaria. The octagonal structure is meant to convey a unified style and is emblematic of the Communist architecture that was popular during this time. While much Communist architecture hasn’t aged well, I think the NDK is still an exceptionally beautiful building to photograph in Sofia. The Sveta Nedelya church in Central Sofia is beautiful, but it has a dark history. It was the site of a terrorist attack in 1925, when a group of Communist party members detonated a bomb during a funeral of a Bulgarian general. 150 people were killed – mostly political and military elites – and over 500 were injured. However, the King (who was likely the target of the attack) was running late to the funeral and was spared from the slaughter. Today, the church has been renovated, so that no traces of the attack remain, and it’s possible to go inside the church and see the beautiful murals. It’s especially beautiful photographed wtih a glimpse of the famous Vitosha mountain in the background. Sofia is in the process of replacing its vintage trams with more modern versions, but many of its old style remain, in bright yellow and green colors. The new blue ones aren’t much eye candy, but I’m really partial to the old yellow ones. Location: You can find them all over the city, but bulevard Hristo Belchev has quite a few tram lines running up and down it, including a few in the vintage style. The Ivan Vazov theatre is one of my other favorite places in Sofia, mostly because it reminds me of long summer nights spent enjoying Sofia’s liberal open container policy, drinking beers in the park with friends. 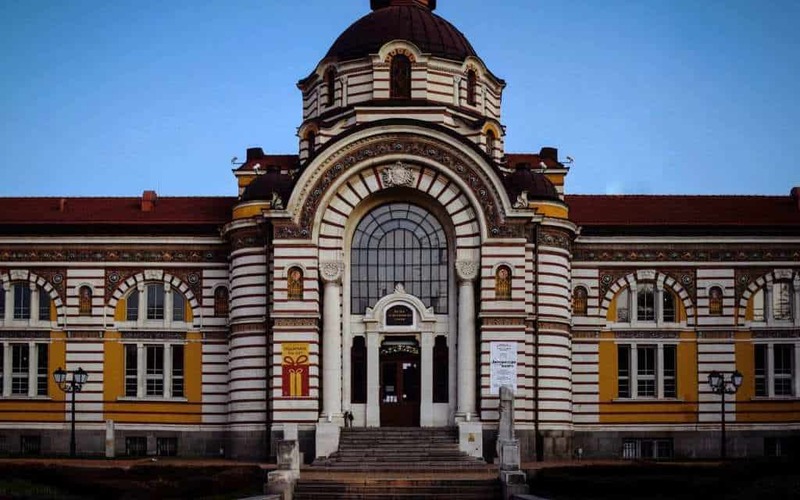 But it’s also one of the most Instagrammable places in Sofia, with gorgeous Austrian-style architecture from 1904. It’s massive – 40 meters tall – with a striking red façade with six marble columns with classical Roman figures. The building was bombed during World War II but has been stored to its previous glory. The Sofia Central Mineral Baths are absolutely gorgeous. The building looks like it came straight out of Budapest, with a yellow and white façade with ornate paintings and adornments done in the Vienna Secession style. Few people know that Sofia has some of the largest quantity of hot springs in a European capital city, but its true — the city of Sofia alone has more than 30 mineral hot springs. Unfortunately, the name is a bit of a misnomer, as there haven’t been public mineral baths here since 1986. Public bathhouses had fallen out of favor, and the building was badly in need of repairs, with a damaged roof. While the city has since renovated the building and it is now home to the Sofia Regional Historical Museum, it is no longer a bathhouse. Still, for those wanting to test out its supposedly medicinal mineral waters, there are several fountains providing free mineral water day and night. You’ll see locals collecting mineral water in giant jugs at all times of day. Why not give it a try? Just be aware that it has a faint smell of sulphur! Did you know that Cyrillic (the alphabet used by Russia, Bulgaria, and several other members of the Slavic language family) was created in Bulgaria? Named after St. Cyril, the Cyrillic alphabet is a point of national Bulgarian pride, and St. Cyril is a beloved figure by many. Vitosha Boulevard is the heart of pedestrian life in Sofia, and it’s easy to see why it has the name Vitosha when you admire the mountain perfectly framed by the buildings along the boulevard. This is one of the biggest stretches of pedestrian-only foot traffic in Sofia, which is a slightly car-oriented city. Vitosha is home to countless cafés with outdoor terraces (many of which are insulated and heated during the winter) as well as some restaurants. Prices, as you’d imagine, are slightly higher along Vitosha. If you’re in the mood for some delicious Bulgarian food and don’t mind paying slightly more for the convenience, I highly recommend Shtastliveca on Bulgaria. It also has a pretty adorably retro interior that’s Instagram-friendly. Sure, you can ‘gram Vitosha from the ground — but why not do one better and go to the top? 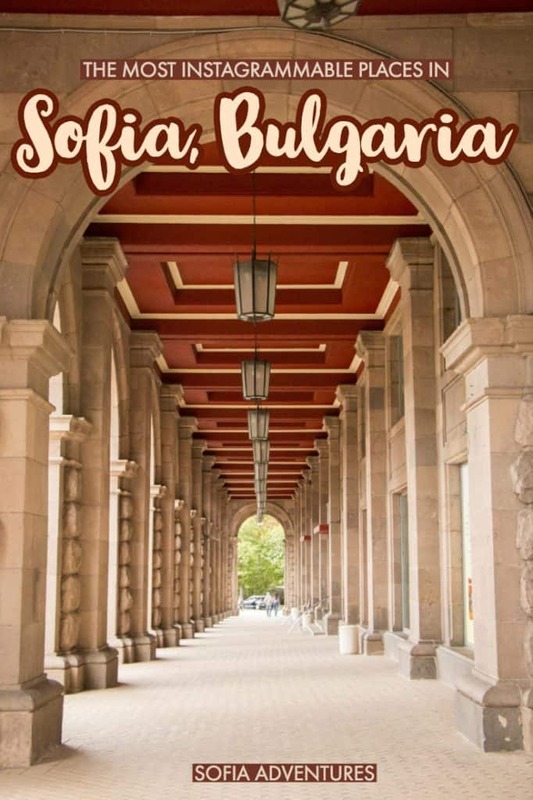 One of Sofia’s best attributes is the fact that it’s actually a short distance from a 2290-meter mountain, Vitosha, which is both a ski resort in the winter and a hiking hotbed in the summer. In fact, you could actually walk from the center of Sofia to the base of Vitosha if you really wanted! But better is to take a taxi or a combination of metro and bus higher up the mountain. There are several beautiful viewpoints – the peak, Cherni Vrah, is a great hike in the summer and has sweeping views over the city. One of my favorite viewpoints is the abandoned chairlift station at Kopitoto, where you have beautiful views of the surrounding mountains as well as the city of Sofia. Hotel Lion is named so for its proximity to Lavov Most, aka Lion’s Bridge. With its yellow façade and green dome, it’s an insanely photogenic place to Instagram in Sofia. The St. George’s Rotunda is a hidden gem in the most literal sense — it’s actually located within the courtyard of the current-day Presidency and the Sheraton Hotel. It’s an early Christian church, thought to be the oldest still-standing building in all of Sofia, dating all the way back to the 300s. So why is this church hidden? Basically, the Communist government built buildings, including the Communist leader’s office, around the church, which both preserved it while subtly discouraging people to go and erasing it from the public eye. Not one to be left out of the Christmas market frenzy in Europe, Sofia has its own Christmas market every year. Last year (in 2017), the Christmas market opened on November 18. While the dates for 2018 are to be determined, you can estimate that it will open around mid-November. The Christmas Market is done in the German style — it’s traditionally opened by the German ambassador to Bulgaria. Of course, being a German market, you’ll find glühwein (mulled wine) and plenty of sausages. The Largo is the name given to the complex of ruins discovered when they started excavating for the Sofia metro in 2010. The ruins of the ancient Roman city of Serdica have been found, and resulting excavations are on display in the underground passageways surrounding the Sofia metro line at Serdika. It’s pretty amazing to be able to trace the ancient history of a city while traveling through one of its most popular metro stations — and bonus points for making a good Instagram backdrop, too! The above-ground portion of the Largo of Serdika is impressive too, with the former Communist party headquarters being housed in one of the Largo’s most visually impressive buildings. This is an especially good area for night photography and cityscapes! The National Historic Museum of Sofia has a super Instagrammable interior — symmetry for days! Note that this is located quite a bit out of the center in the residential neighborhood of Boyana, so it’s best combined with a trip to the Boyana Church (a UNESCO World Heritage Site) or a trip to neighboring Vitosha mountain — or both! These may not be the first thing you think of when you think of “Instagrammable places” but these shops are a unique fixture of Sofia life and a must-capture for lovers of street photography. Klek shops (klek means ‘squat’) are run out of basements, where you have to bend down to order. Klek shops popped up in Sofia after the fall of communism, when renting a full storefront was more expensive than renting a basement. Unfortuantely, these stores are slowly dying out. Sofia’s having a bit of a hipster revival, and lots of new bars and cafés are opening up. There are lots of great places to grab a cup of coffee in Sofia, but one of the most beautiful interiors can be found at Drekka. With its super soothing white and blue geometric décor, this is one of the most photogenic places in Sofia to grab a cup of coffee and stunt for the ‘gram. Yet another dreamy coffee shop for all you lifestyle Instagrammers out there, Percolate serves up Instagram-friendly latte art with a seriously cute interior. It’s also located next to another cute café – which sells amazing sandwiches and salads, seriously some of the best in the city – which you’ll find in the following item on the list! I eat lunch at the Rainbow Factory location in the center probably 2-3 times a week when I’m in Sofia. I’m addicted to their sandwiches made with perfectly fluffy focaccia bread! I’ve yet to eat at the second location in the Oborishte neighborhood of Sofia, but judging by the interior on Instagram and rave reviews on Google, it’s just as good as the original. If you’re curious to try Bulgarian wine or craft beer, it’s a great spot to do so as well! If you want to get out of the city for a day, there are several day trips that are stunningly beautiful and perfect for the ‘gram. Rila Monastery: This gorgeous white-and-red striped monastery has so many photogenic angles – the church itself, the white monks’ quarters surrounding the church, the stunning murals on the exterior of the church, the courtyard. Please dress respectfully and remember that there is no photography inside the church. It’s best to go here by rental car or guided tour; I recommend this inexpensive day trip which also visits the beautiful Boyana Church. 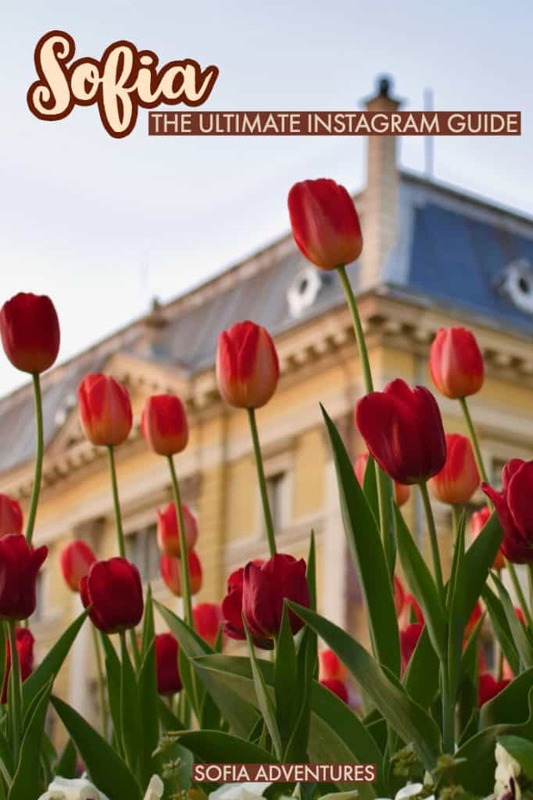 Plovdiv: One of the most beautiful cities in all of Bulgaria, if you don’t have time for a dedicated trip to Plovdiv, you can still easily do it as a day trip from Sofia as it’s only two hours away by bus or shuttle. The Bulgarian National Revival architecture of the Old Town is beautiful, and we’ve written a whole Instagram guide to Plovdiv that you can follow! You can do this day trip which includes transportation and an audio guide, so that you can photograph at your own pace while still learning about the buildings you’re seeing. Check out this affordable day trip option! 7 Rila Lakes: If you want to get some fresh mountain air and some sick Instagram pics, be sure to check out the Rila Lakes, a 90-minute drive from Sofia. We’ve outlined all you need to know to complete the hike here (it’s not too hard!) but getting there can be a bit of a hassle. We recommend this day trip as it cuts out the difficult and time-consuming public transportation alternative. Check it out here. However, keep in mind that Sofia is a great value destination, so that same $100 in Sofia will get a room at the nicest hotel in town, whereas it’d get you one of the worst hotels in, say, London! Mid-range: For a trendy new boutique hotel that is affordable and yet insanely photogenic (and close to several Instagram hot spots!) we recommend R34 Boutique Hotel. The location is fantastic, near the Ivan Vazov National Theater in central Sofia. It has gorgeous, New York loft-like details like exposed brick, enormous windows with tons of natural light, and streamlined Scandinavian-esque décor. It’s a great bargain, too – check rates, reviews, photos, and availability here. Luxury: As far as we see it, the best (and most Instagrammable) hotel in town is surely Sense Hotel with its gorgeous rooftop bar! I go there every single time I have guests in town – for the beautiful view as well as the delicious craft cocktails. With stunning skyline views over Alexander Nevsky, Sofia’s most iconic landmark, the hotel couldn’t be more Instagram-friendly. Sense Hotel also is home to a state-of-the-art fitness center, an art gallery in the lobby, an excellent spa with luxe treatments, and an indoor pool. It’s easily the best choice in town, and it’s more affordable than you might expect. Check rates, reviews, photos, and availability here.